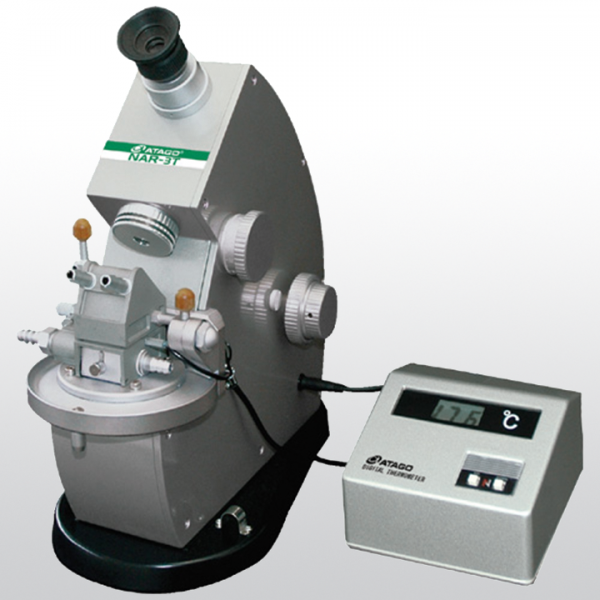 NAR-3T has been developed to give improved measuring accuracy and ease of use. This has been achieved by making fundamental improvements to the optical system, utilizing a larger scale, incorporating a high intensity lamp and using a double control knob to give quick and finer control. Related links to "ATAGO NAR-3T"